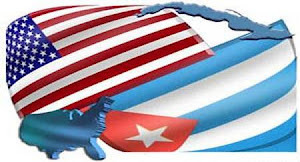 United States Cuba Relations: "Once More Unto the Breach Dear Friends, Once More"
The ongoing tragedy and saga of U.S. Cuba relations enter a new phase with the announcement of new sanctions and travel restrictions. The policy failures of the past never get old; it seems so while we wait to read the fine print of the soon to be released regulations and absorb what they mean in real terms for Americans and Cubans, some immediate takeaways for both the United States and Cuba. The Trump Administration is forcing a policy of confrontation and suffering to resolve issues that have been going on for 60 years between both countries. No one knows what the effect of lawsuits filed as per Title III of Helms-Burton will be other than chaos, complication, and confusion. Will claims get resolved? Flowers will grow in gardens, not deserts. Politically, the Trump Administration has delivered to the hardliners in Florida and New Jersey what they always wanted, total control of U.S. Cuba policy once more. For the moment. That was both a payment for delivering Florida to Trump in November 2016 and an extension of credit for a repeat performance in November 2020. They better deliver or else. For opponents of this move, the political calculus is straightforward. Supporters of normalization must either elect a Democrat in 2020 or the alternative, deny Florida and New Jersey to President Trump in his re-election bid. The good news from this crisis is that finally, normalization supporters may get politically involved enough to make an electoral difference. Two things only control U.S. Cuba relations, votes, and money. Everything else is fluff. It was approximately 10:49PM that evening. The networks had just called the election announcing that Donald Trump now had 270 electoral votes in his column giving him a second term in office! The President was relishing his re-election moment in the midst of one of the most turbulent first terms in American history. He had now the 270 electoral votes, but surprisingly and much to his disappointment, he did not carry the state of Florida. The Trump campaign though had wisely strategized a victory path without Florida. Florida had gone Democratic due to the demographic shifts and the Puerto Rican vote that tilted the statewide vote blue. The President was nonetheless embarrassed and humiliated that the state that is home to the second White House, Mar-a-Lago, did not deliver for him. Even his home state of New York also did not turn out for him either. He had expected that one though. POTUS: Hello Miguel. Nice to be speaking with you. Listen, I want to let you know I am going to ask the Congress here to end the embargo. Its time all of this ended. Besides, your relatives in Florida were not very nice to me in this last election. I don’t owe them anything anymore. Cuba needs help and from what my people tell me, a lot of construction and development. You can have the best First Class hotels, golf courses, and properties built on your beautiful island. Let’s even put a Major League Baseball team in Cuba. We can really help Cuba turn the page and move forward as a country. We need economic security here in the region. I can’t have all these people coming from everywhere to America anymore. You can stop being a poor country. Don’t pass up the opportunity I am extending here. POTRC: Well, Mr. President, thank you for calling me. I think everything is possible as long as everything we do is as equals and with mutual respect. You cannot tell us to change our political and economic system, and you cannot embarrass or humiliate us. By the way, we love the American people. We never had a problem with them. In fact, we want them here visiting our beaches, staying at our hotels, and even living here in retirement. There is so much we could do together. Our problem has always been with our countrymen who fled and have been using your political system to make trouble for us here. You know we have been having talks with your government for so many years, so you are well aware of our interests and goals. POTUS: I know, I know. I am up to a stack of briefing books over a foot high on Cuba now on my desk here in the Oval office. You know what I need Miguel from you as soon as we can? I need good deals for the people who still have outstanding claims with your country. If you can give them really good deals, that will take the heat off the issue and set the stage for what will be a great moment in history. I also know you want Guantanamo back but I can’t do that just now. We’ll talk about that though as part of our deal. I know that was a great deal for the U.S. and a bad deal for you guys. We’ll figure out how to fix that. Let’s make history for both of our countries. POTUS: Call me Donald, Miguel. By the way, I am going to give you a telephone number to call me directly. You don’t need to go through anyone. If you have any questions or concerns, you just call me when you need to. We’ll set everything up and have our people and staffs implement. Top down. POTRC: That’s gracious of you Donald. Well, if we can begin to address the concerns we raised and have a plan to move on them, everything is possible, except of course our sovereignty. POTUS: I’ll have my people work on that. Then at some point, we can arrange visits between us during this term of office. POTRC: Well it was a grand moment when we had your predecessor, Mr. Obama, here to visit in Havana. But it will be the most historic when you visit us in Havana. POTUS: Well, this will be even bigger and better than Obama. He and Hillary have problems right now as you know. I’d like to do it at the right time, you know, at the groundbreaking of an American hotel, a new sports stadium, that sort of thing. I know the best people in the business. We’ll make it a really big deal, a terrific moment for both of our countries. Then I’d like for you to come visit with me and I’ll show you the White House and even better, Mar-a-Lago. You’ll love it. POTRC: I’ll be back in touch. Thanks Donald. The author is a graduate of New York Military Academy, Class of 1981. His mentor at the Academy was the late Col. Theodore Dobias. President Donald J. Trump is a graduate of New York Military Academy, Class of 1963. His mentor at the Academy was the late Col. Theodore Dobias.